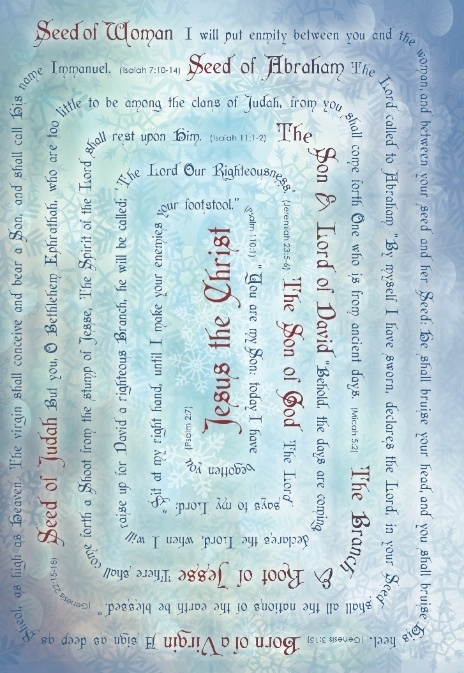 Christ Jesus is the image of the invisible God, the firstborn of all creation. He was promised to us as a Savior in Geneis 3, and then in hundreds of prophecies throughout the Old Testament. Inside: "For my eyes have seen Your Salvation that You have prepared in the presence of all peoples, a light for revelation to the Gentiles, and for glory to Your people Israel. 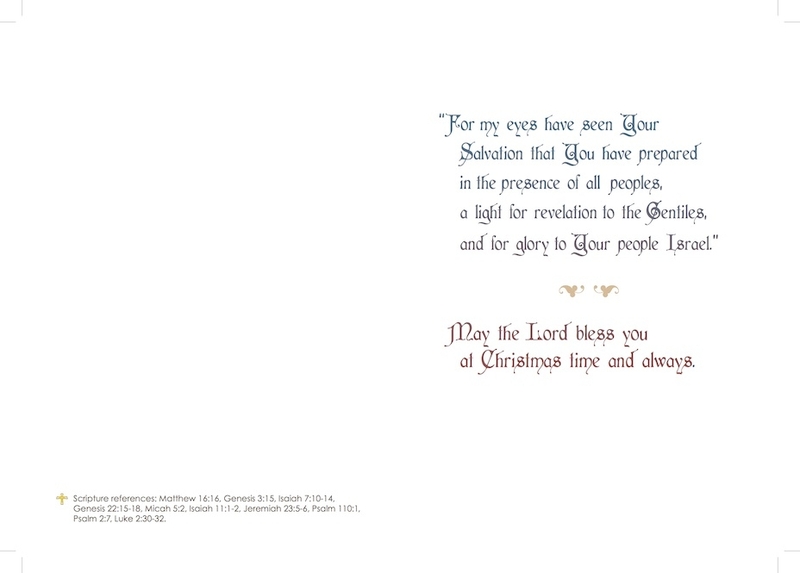 May the Lord bless you at Christmas time and always.